Call Of The Wild by Hoffman Fabric. Step into the wild with panels full of impressive nature scenes. Digitally printed to capture the true beauty of the outdoors. Made from premium quilt shop fabric 100% cotton, 44" wide. You are purchasing the Digitally Printed PANEL of the Hoffman P4356-44 in the "forest" color. 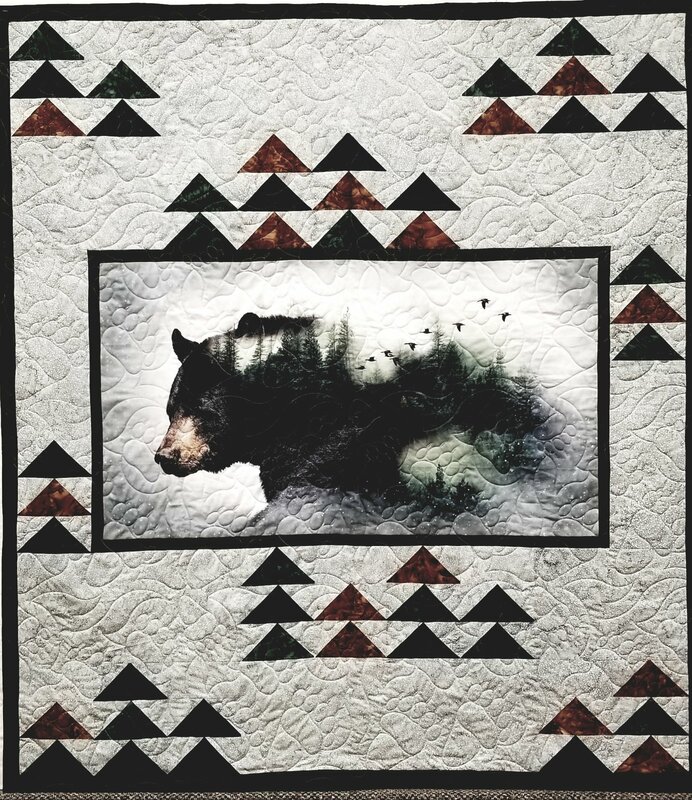 Call of the Wild Bear Panel by Hoffman Fabrics was used to create this 56" x 60" Wall Hanging or lap quilt. Call Of The Wild by Hoffman Fabrics. Step into the wild with panels full of impressive nature scenes. Digitally printed to capture the true beauty. Kit includes panel, all background fabric for the pattern "Call of the Wild" - 3.5 yards Hoffman batik fabric and pattern.Call of the Wild Bear Panel by Hoffman Fabrics was used to create this 56" x 60" Wall Hanging or lap quilt. Call Of The Wild by Hoffman Fabrics. Step into the wild with panels full of impressive nature scenes. Digitally printed to capture the true beauty.